Do you like Bullet Fury 2? Share it with your friends. 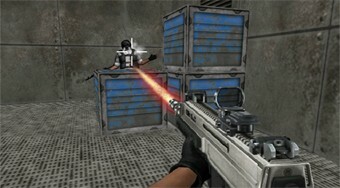 Bullet Fury 2 is the second part of a great 3D shooter with a brand new and very challenging mission. Move around as a member of the elite squadron to the lab and try to shoot all the dangerous terrorists who are hiding in the building several dozen. You can choose from three levels of difficulty.